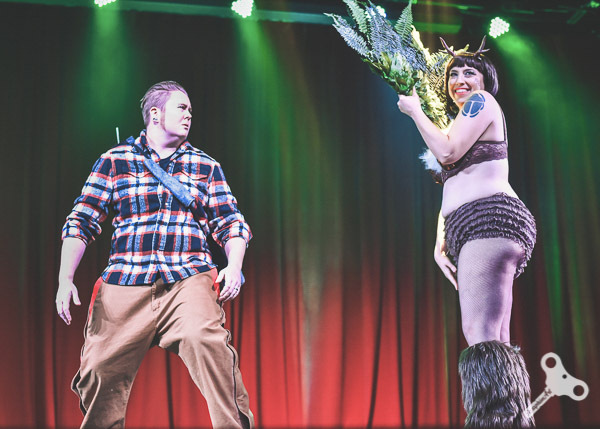 We were so excited to be a part of the Texas Queerlesque Festival for the third time in a row. It’s such an amazing festival with wonderful people and performers. 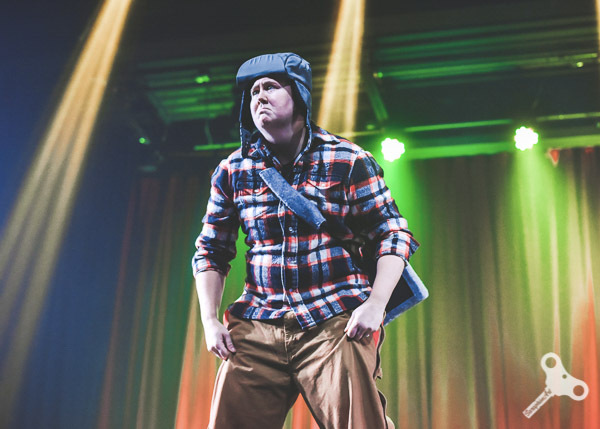 Everyone shares in the joy that is queer performance on stage! We made some awesome new friends! …and got to hang with some old ones too! Can you believe that Shelby performed with a badly sprained ankle (like, her bone had a crack in it!)? We modified her costume a bit by adding some furry leg warmers to cover her ankle cast/stabilizer. She was a total pro, and we had such a blast performing our ‘Bulletproof’ number. 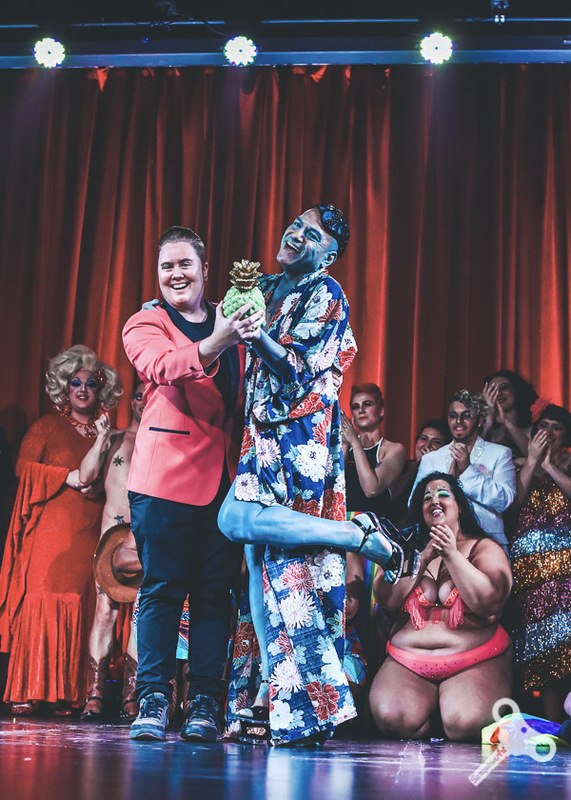 At the end of the show, Eaton was honored to have been selected along with Maxxy Radd by our co-performers to receive the Pineapple Sparkle award from Saturday Night at the 2018 Texas Queerlesque Festival! This award is to honor the incredible Jette Blaque, a true spirit of warmth, love, and friendship.